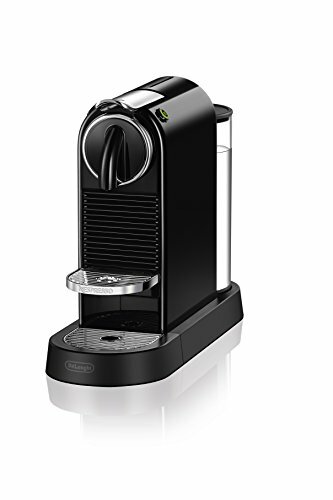 With its new design, Nespresso Citiz by De'Longhi continues to please both espresso drinkers and design lovers, adding a touch of elegance to coffee rituals around the globe. The Red Dot Award-winning, compact design fits into any urban kitchen without taking up too much space. The user-friendly features include two programmable buttons with automatic flow-stop for espresso and lungo coffee preparations as well as a folding cup tray for taller glass recipes. The 19-bar, high-performance pump offers barista-style coffee every time, perfectly extracting the delicate flavor and premium aromas of each coffee capsule and creating an incomparable dense and unctuous crema. The fast heat-up system reaches the ideal temperature in just 25 seconds, while the automatic energy-saving function switches the machine off after 9 minutes of inactivity, making your life easier. Keeping its iconic lines and premium finish, the range of intuitive and user-friendly Citiz machines embodies the expertise of Nespresso to suit all coffee drinking preferences. Each machine includes a welcome set with a range of OriginalLine Nespresso capsules with unique aroma profiles.